As computing proliferates into everyday life, systems that understand people’s context of use are of paramount importance. Regardless of whether the platform is a mobile device, a wearable, or embedded in the environment, context offers an implicit dimension that will become highly important if we are to power more human-centric experiences. Context-driven sensing will become a foundational element for many high-impact applications, from specific domains such as elder care, health monitoring, and empowering people with disabilities, to much broader areas such as smart infrastructures, robotics, and novel interactive experiences for consumers. In this talk, I discuss the construction and evaluation of sensing technologies that can be practically deployed and yet still greatly enhance contextual awareness, primarily drawing upon machine learning to unlock a wide range of applications. I attack this problem area on two fronts: 1) supporting sensing expressiveness via context-sensitive wearable devices, and 2) achieving general-purpose sensing through sparse environment instrumentation. I discuss algorithms and pipelines that extract meaningful signals and patterns from sensor data to enable high-level abstraction and interaction. I also discuss system and human-centric challenges, and I conclude with a vision of how rich contextual awareness can enable more powerful experiences across broader domains. Gierad is Ph.D. candidate at Carnegie Mellon University’s School of Computer Science. His research in human-computer interaction designs, builds, and evaluates novel interactive technologies that greatly enhance input expressivity for users and contextual awareness for devices. These often lie at the intersection of interactive systems, sensing, and applied machine learning. 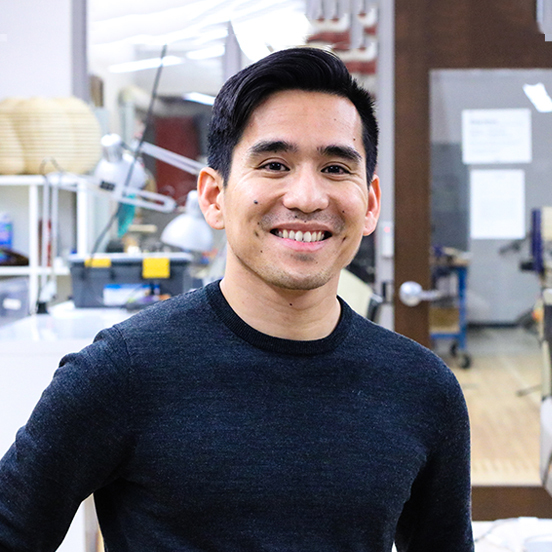 His research has been recognized with a Google Ph.D. Fellowship, a Swartz Entrepreneurial Fellowship, a Qualcomm Innovation Fellowship, an Adobe Research Fellowship, and a Disney Research Fellowship. He is also a recipient of the Fast Company Innovation by Design Award, along with 6 Best Paper Awards and Nominations at premier venues in human-computer interaction.